I’m super excited to share today’s project with you all. 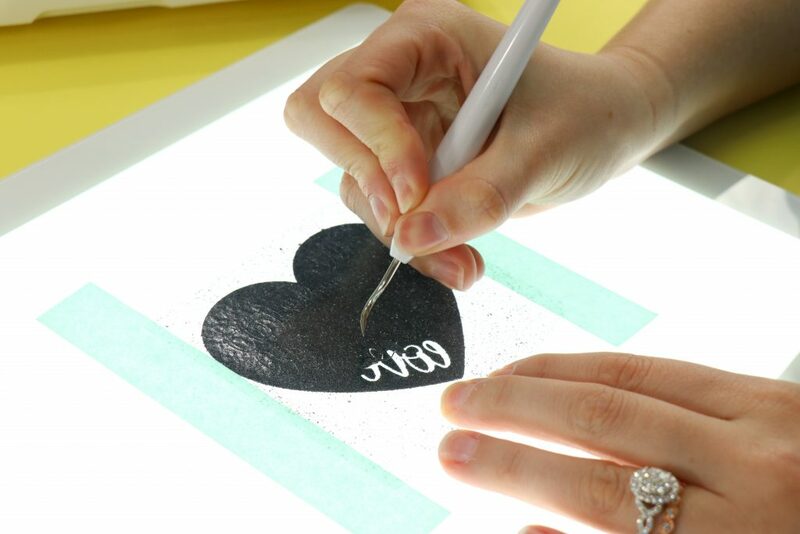 We used the wonderful Cricut BrightPad to weed the ever difficult Cricut Glitter Iron-On, and it was a huge success. If you ever notice it difficult to weed certain materials after your Cricut Maker finishes cutting, you’re not alone. If you’ve ever wondered how to weed vinyl properly you will love this. 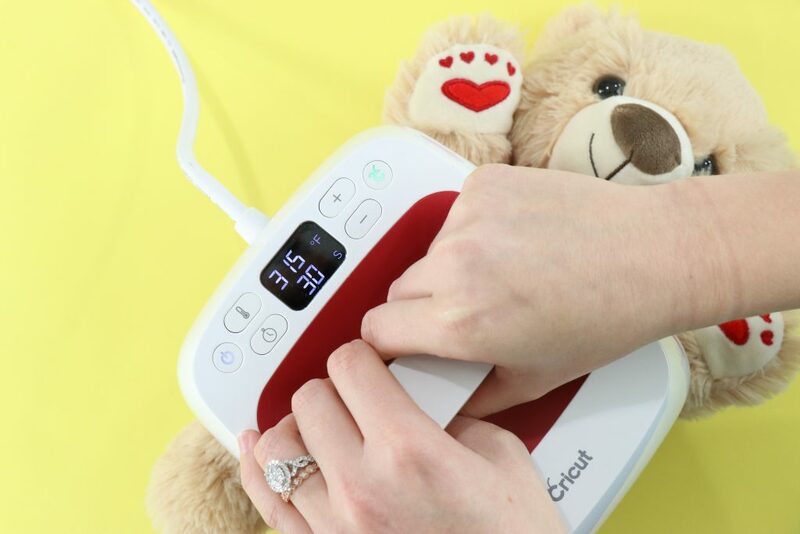 I hope you enjoy learning how to Iron-On Stuffed Animals With The Cricut BrightPad. We have used our Cricut BrightPad for years. We love to keep it close by in our craft room so we can always have weeding success. It’s light, thin, and oh so bright. With 5 brightness settings and a uniform LED light, this bad boy makes crafting easier not to mention it works wonders not straining my eyes. 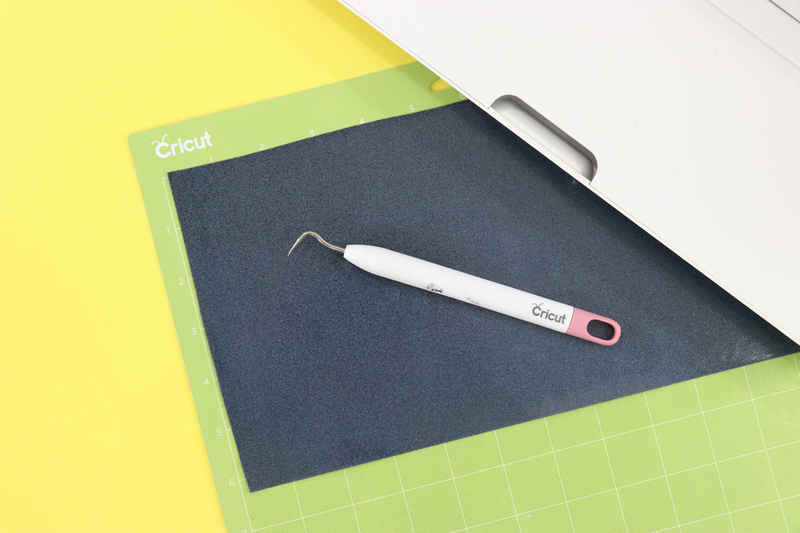 The Cricut BrightPad even plugs into your Cricut Maker so you have one less cord having to take up your valuable outlets. At least, I know my craft room outlets are valuable, haha! Also, as I’m sure you could guess that the BrightPad isn’t just for weeding tricky vinyl. It’s perfect for artists to trace and sketch, as well as sewists and quilters too. 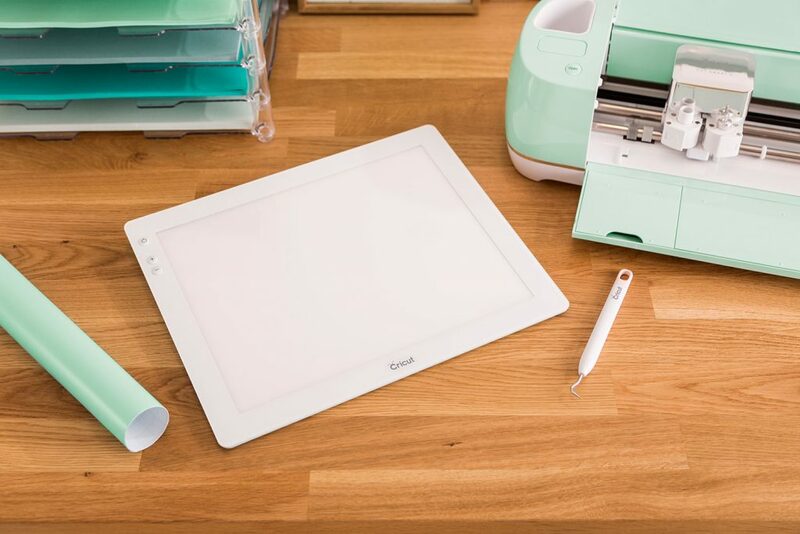 Basically, if you’re a crafter, you’ll love the BrightPad. 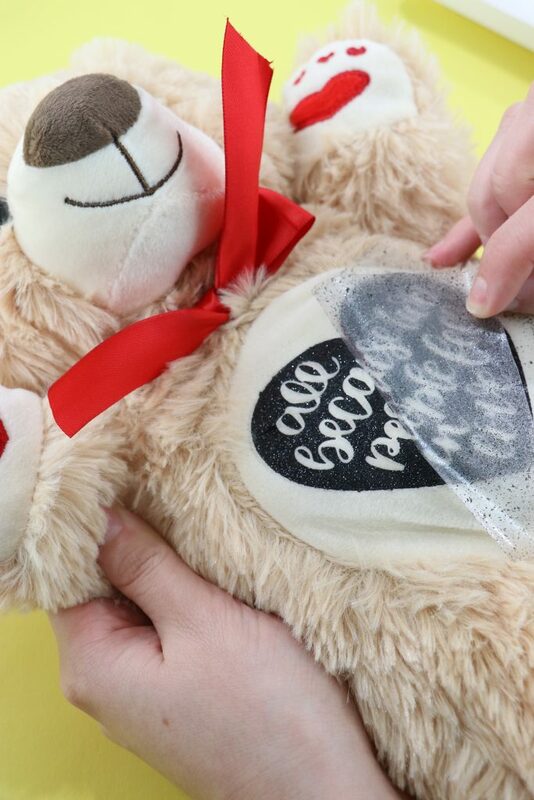 Today We’re going to make a fun little Iron-On teddy bear perfect for Valentine’s Day. We knew we wanted to use our favorite Glitter Iron-On, but we needed the help of the BrightPad to make weeding a breeze. I hope you all enjoy this tutorial! 1. 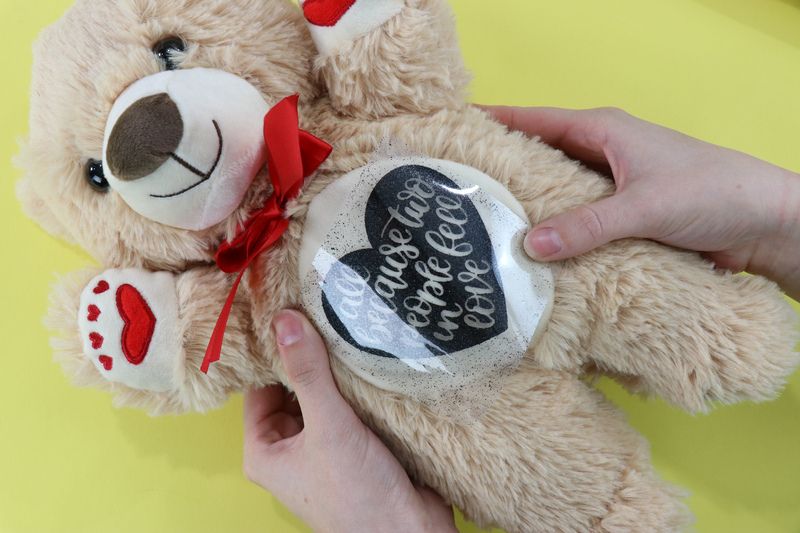 Measure your bear and size your image in Cricut Design Space to fit well on his tummy. Load your mat, select your material, and let the Cricut Maker cut! 2. Trim the Iron-On and peel away the excess on the edges. 3. It’s a great tip to use masking tape to secure the transfer paper onto the BrightPad to improve control on weeding. 4. 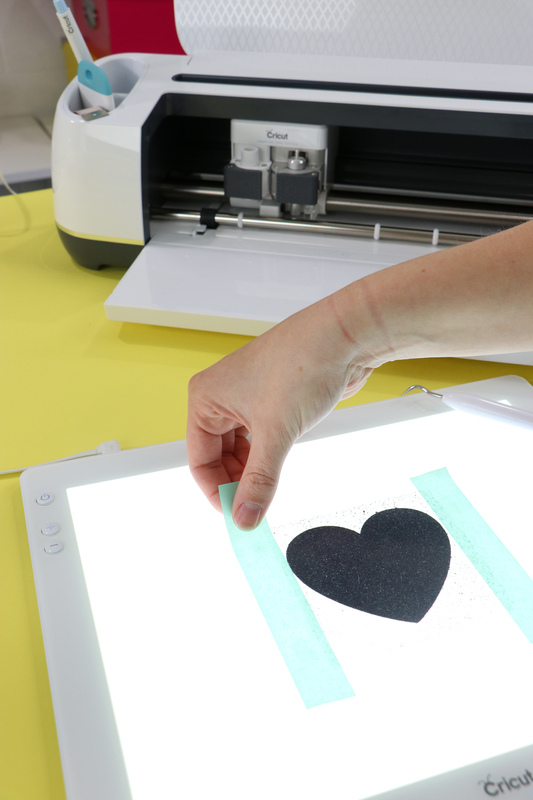 Now you can simply and easily weed your image with the Cricut BrightPad illuminating the cut lines to make them super visible with no eye strain. 5. Once you’ve weeded your image, preheat your EasyPress to 315 degrees. 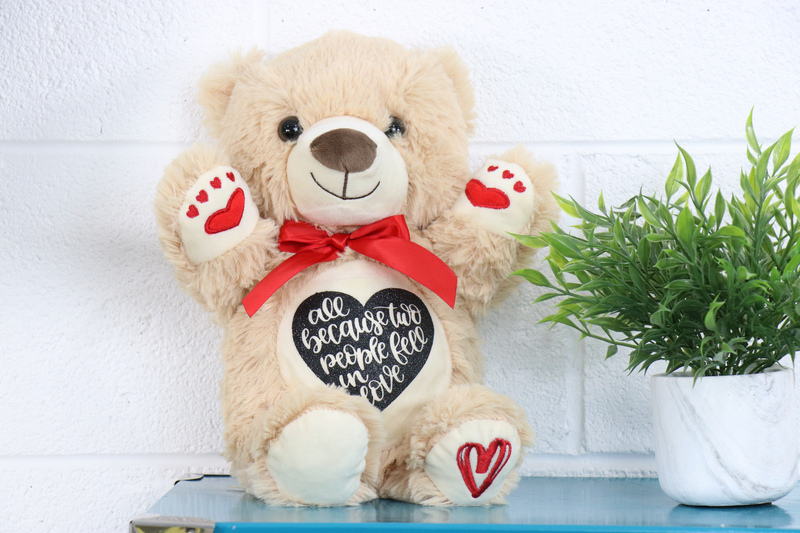 Place your image on the bear and see where you’d like it to go. 6. After you preheat your bear’s tummy for a few seconds, position your image, and press with firm pressure for 30 seconds. 7. 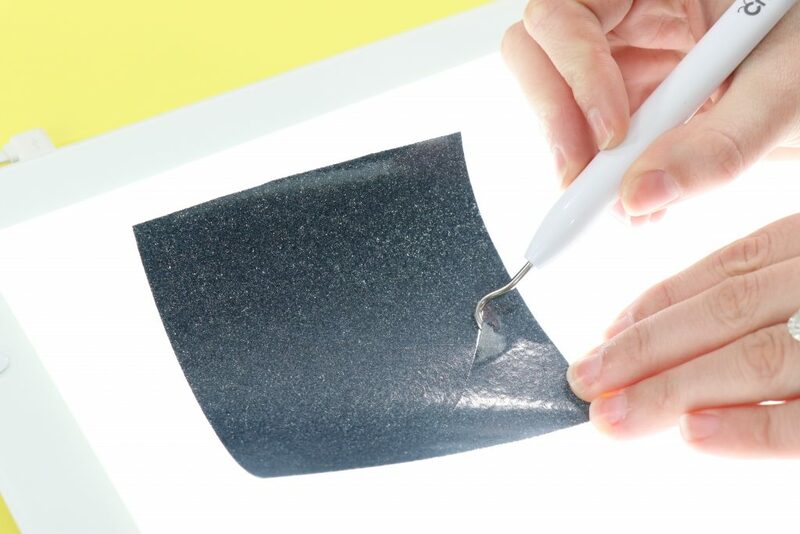 Peel off your transfer paper slowly while the image is still warm. 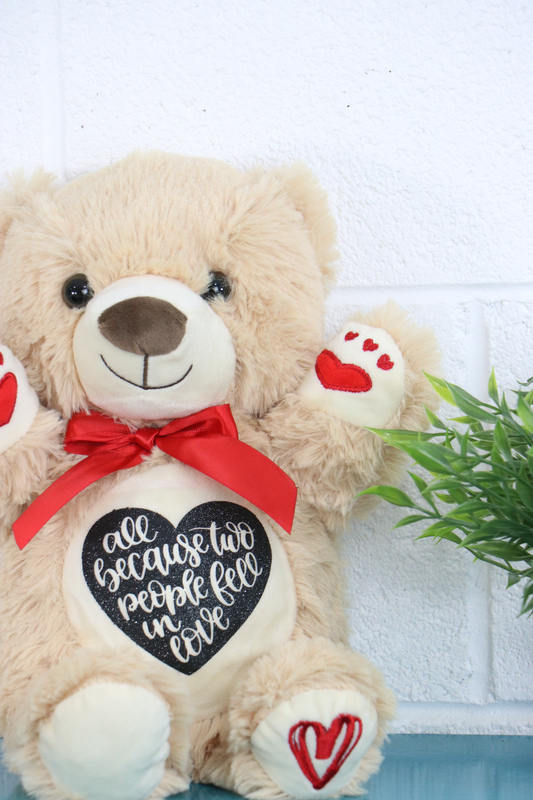 Then enjoy your new personalized stuffed bear!